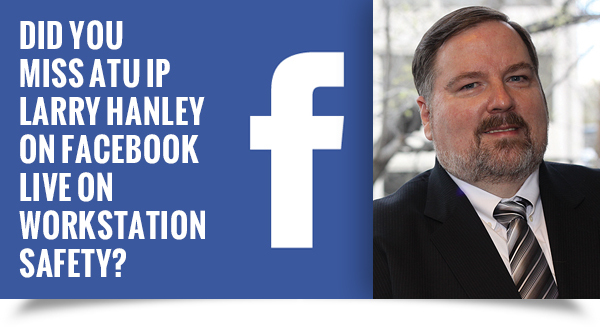 If you missed International President Larry Hanley’s Facebook Live session this week on the latest developments concerning ATU's campaign to push for improved transit worker and workstation safety you are in luck. All you have to do is go here to watch the Facebook Live session. Hanley was joined by ATU health and safety expert Brian Sherlock for a lively discussion and questions from viewers on ATU’s successful campaign to stop bus blind spot deaths, assaults on bus drivers, dangerous fumes and other dangerous worker safety issues.Watch the Facebook Live session here. After eight years under the anti-union, anti-transit, conservative reign of NJ GOP Gov. Chris Christie, it’s a new day in the Garden State under the leadership of Democratic Gov. Phil Murphy. His first-year agenda calls for pumping money into mass transit and schools, and higher taxes on the wealthy. Murphy intends to make good on campaign promises such as raising the minimum wage to $15 an hour, repairing the troubled NJ Transit system and providing free community college tuition. Watch this video of Gov. Murphy acknowledging that buses move more people than trains and his plan to address some complaints of riders. In addition, ATU testified at a NJ Transportation Committee meeting to introduce and pass two pieces of pro-transit legislation. Read more. ATU salutes our members for Transit Driver Appreciation Day, but is calling for changes to fix major bus safety issues endangering drivers, riders and pedestrians. 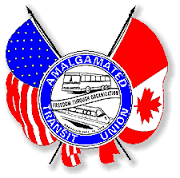 “ATU members do difficult work with professionalism each day, yet vicious attacks on transit drivers, dangerous bus driver blind spots, unsafe air quality, ergonomically poor seating, and primitive steering and controls are threatening the health, safety, and lives of bus drivers, riders and everyone else on our streets,” said ATU International President Larry Hanley. Currently transit buses used in Europe address these safety issues with protective barriers, unobstructed views for bus drivers, “active” ergonomic seating, proper filtering of bus compartment air quality, and other safety features. “We are calling on transit agencies, bus manufacturers, and elected officials to adopt these well-established solutions and make our buses safe for everyone,” Hanley continued. Read more. In a victory for Denver transit workers at the Regional Transportation District (RTD), Local 1001-Denver, CO, secured a strong contract that boosts worker pay and improves work conditions. The deal also calls for RTD to give bus drivers guaranteed bathroom breaks, puts $6.2 million per year into the employee pension fund and guarantees drivers would be compensated extra for working split shifts. With RTD struggling to keep and attract bus drivers and train operators, the agency hopes to attract qualified candidates. The negotiations began in October, but hit an impasse in February and the Local filed a Notice of Intent to Strike. However, state officials ruled that the union could not walk off the job, ordering both sides to enter into binding arbitration on contract talks. This led to the contract, which Local members overwhelmingly ratified. Read more. Calling for not only a fully-funded, safe, and reliable transit system, but for fare equity and the decriminalization of fare evasion, Local 268-Cleveland, OH, joined with Clevelanders for Public Transit and community allies at a rally in Public Square in downtown Cleveland. Chanting “Fix It, Fund It, Make It Fair,” protestors called for a transit levy on the November ballot and demanded action from county officials to repair the system in the midst of its death spiral. A letter being circulated for attendees to sign read "We can't afford further fare hikes and service cuts to GCRTA. I'm on calling on you, County Executive Armond Budish and Members of the RTA Board, today to raise the necessary revenue to restore GCRTA to a level of service that meets all the needs of our great community." Read more. A new University of Texas study found that even cities with good public transportation have some areas of 'transit deserts,' where demand exceeds supply. In fact, transportation deserts were present to some degree in all 52 cities examined as part of the study . Not surprisingly higher income neighborhoods have better transportation options, which reinforces the continuing income inequality because it is harder to access good jobs, health care and other services. The study’s author concluded that “Ultimately federal, state and city agencies must work together to ensure an equitable distribution of transportation so that all citizens can fully participate in civil society. Identifying transit gaps is a first step toward solving this issue.” Read more.